For me it’s always been hard to choose favorite albums from artists that I admire and when it comes to the Beatles that becomes even more difficult. From album to album, the Beatles drastically changed their sound, style and method of working in the studio, arguably more so than any other pop band. It’s as if we have at least four distinctive bands in one. The Fab Four of the early sixties at the height of Beatlemania, the introspective, mature band of the mid-’60s, the psychedelic pioneers of ’67, and the ever-changing rock band edging toward the end of a decade. In order to choose a favorite album or a desert island disc, I needed to imagine that I would have only one Beatles record to enjoy for eternity. If that were the case I would have to choose their 1968 eponymous double LP, more commonly known as The White Album. Clocking in at over 93 minutes it is nearly three times the length of many of their single disc releases, so for that reason alone, it is worth its place. They cover almost every possible type of music within an hour and a half tackling hard rock, British blues, country and western, classical, jazz, soul, acoustic ballads, and the avant-garde, yet each piece sounds fresh and original. The songs never sound contrived regardless of style and this helped the group open up the door for other artists to stretch the boundaries on albums to come. Lennon offers up some of his most inspired material using his newly acquired fingerpicking technique to great effect on “Dear Prudence,” “Happiness Is a Warm Gun,” and “Julia.” He also gives us all out rockers such as “Everybody’s Got Something to Hide Except for Me and My Monkey” and “Yer Blues” while showing his tender side with the aforementioned “Julia” and “Goodnight” (which he composed as a lullaby for his son Julian). His familiar wordplay is evident in “Glass Onion, “Cry Baby Cry” and “The Continuing Story of Bungalow Bill” and his vocal performances on “Revolution 1” and “I’m So Tired” are unparalleled. Add to that the longest and most avant-garde of any Beatles song — “Revolution 9” — and you have a fantastic single album of Lennon material alone. But Lennon is not the only star of this show. McCartney once again proves that he is the consummate multi-instrumentalist with his performances on “Why Don’t We Do It in the Road,” “Martha My Dear,” and “Wild Honey Pie” then lays down some incredible drum tracks for the first two songs “Back in the U.S.S.R.” and “Dear Prudence.” His ability to adapt to any situation shines as he convincingly performs ’20s style jazz (“Honey Pie”), saloon-style country (“Rocky Raccoon”), acoustic ballads (“Blackbird” and “Mother Nature’s Son”), reggae (“Ob-La-Di, Ob-La-Da”) and possibly the hardest rocking song the Beatles ever recorded, “Helter Skelter.” He also contributes some fantastic bass and piano playing to the compositions of his bandmates at a time when Lennon was playing on less and less material that he didn’t write. Lennon actually didn’t play on any of Harrison’s four songs on The White Album. But this didn’t hinder the final result with the lead guitarist offering some of his best work to date. The baroque backing of “Piggies” juxtaposes the biting satire of the lyrics perfectly while the otherworldly feeling of “Long, Long, Long” complements this lyrical paean to God. And while the funky “Savoy Truffle” is one of my favorite Harrison songs, it is “While My Guitar Gently Weeps” that stands out as the moment that Harrison truly arrived as a songwriter in the eyes of many fans and critics. And not only does Starr offer us his first solo outing as a composer, the country influenced “Don’t Pass Me,” he closes the album singing Lennon’s ballad “Goodnight,” and turns in some inspired drumming throughout. 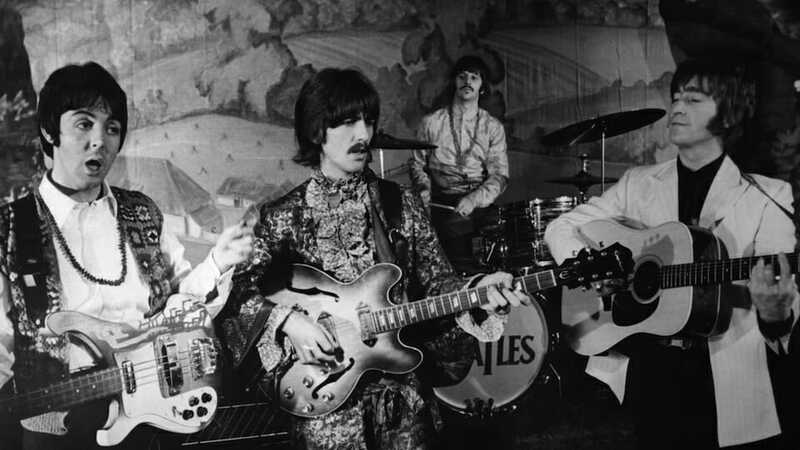 While the Beatles constantly discarded ideas and changed their approach to creating music to avoid clichés, The White Album brought together all that they had learned in their decade together. The songs contained on those two pieces of wax embraced the musical styles that helped shape the band into the force that they had become, while putting a fresh spin on genres familiar to the record buying public. It is truly a high-water mark in their career — one that would sadly be over in a little over a year after its release. Anthony Robustelli is a singer-songwriter-multiinstrumentalist-producer-author who resides in Brooklyn, New York, and The Catskill Mountains. He is the owner of Shady Bear Productions and hosts a podcast, "The Beatles Multi-Track Meltdown." And to think the lads particularly despised each other during the entirety of the recording of this ultimately compelling collection of eclectic songs. In my experience as a rock music enthusiast and Beatles nut this is the most earthy, energetic, natural and organic collection of songs EVER blessed upon us. Someone on Facebook pointed out that the image accompanying this article is probably from 1966, and certainly not from the White Album period. And it’s an unappealing image as well – check out McCartney. There are literally thousands of images to choose from. Not too late.